Comment: You can never have too many sprinkles! Comment: Sprinkles!!! Who doesn’t love sprinkles??!! Go ahead and shoot us an email through karenscookies.net with your addresses and we’ll get your sprinkles sent off! It’s been a while since we’ve posted anything. Just so you don’t think we’ve gone away, here’s a quick, fun little giveaway! You like sprinkles? 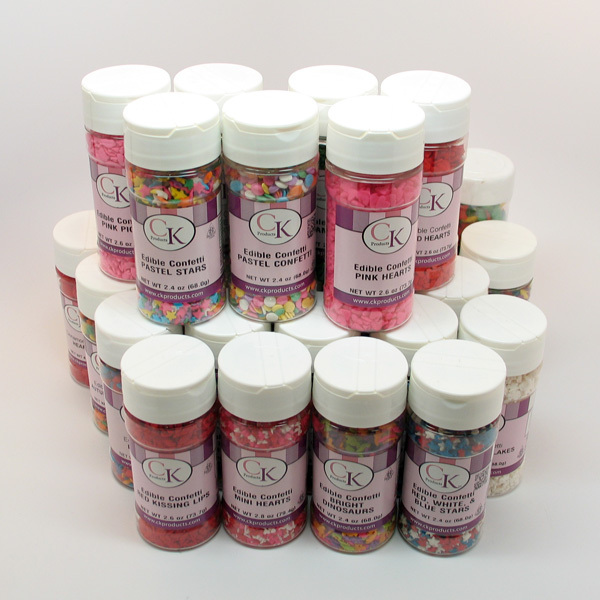 How about a chance to win 32 different jars of sprinkles? Just comment below and we’ll randomly pick 3 different winners who will each receive a package in the mail with 32 jars of sprinkles! So there you go. Get that comment in by Saturday the 21st, and we’ll use a randomizer to select the winners. Good luck!